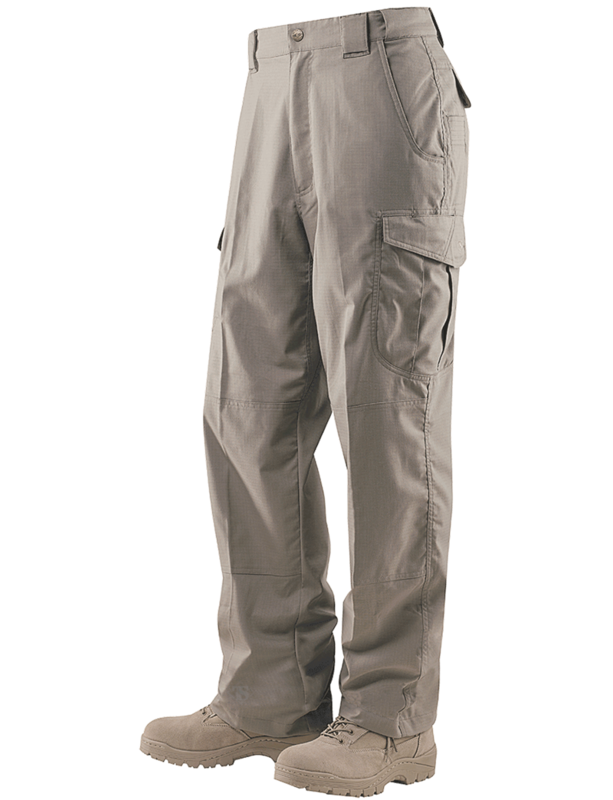 These pants are designed to be the next step in the evolution of the tactical pant from the fabric to the design. Cutting edge mechanical stretch 6.5oz. 65/35 polyester cotton micro rip-stop fabric that creates superior comfort and amazing ease of movement. Treated with a durable water resistant coating this fabric is stain and fade resistant creating superior soil and moisture protection.. Comfort Fit Slider Waistband Construction Which Eliminates The Need For Gathered Elastic Or Adjustable Side Tabs That Accommodates Either Paddle Style Or Inside-the-pants Holsters.